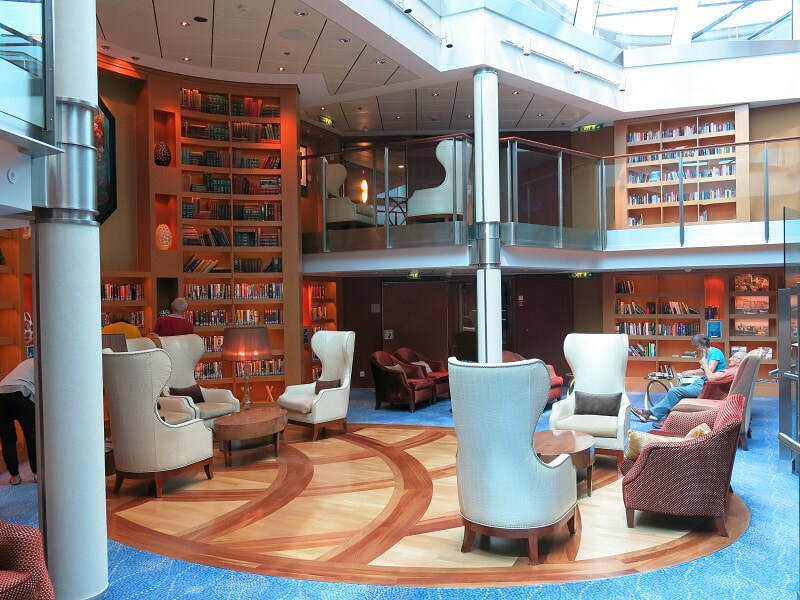 Whilst the number of cruise devotees has grown infinitely, many passengers concede back-to-back days at sea are boring. Maybe they’re spending too much time on bingo or at the buffet, instead of engaging with what the ship has to offer. For example on the 122,000GT Celestial Eclipse with over 2,800 passengers, the largest vessel of our 12 cruises thus far, the choices are countless. Don’t shy away from the Captain’s Formal. It’s a perfect way to ease into the slower pace and meet like-minded passengers over trays of bubbly and canapes. Wisely, the formal dress code has been relaxed to smart chic, so no more traveling with a tux or standing in line for on-board fitting sessions to transform you into another penguin. Keen on photography? 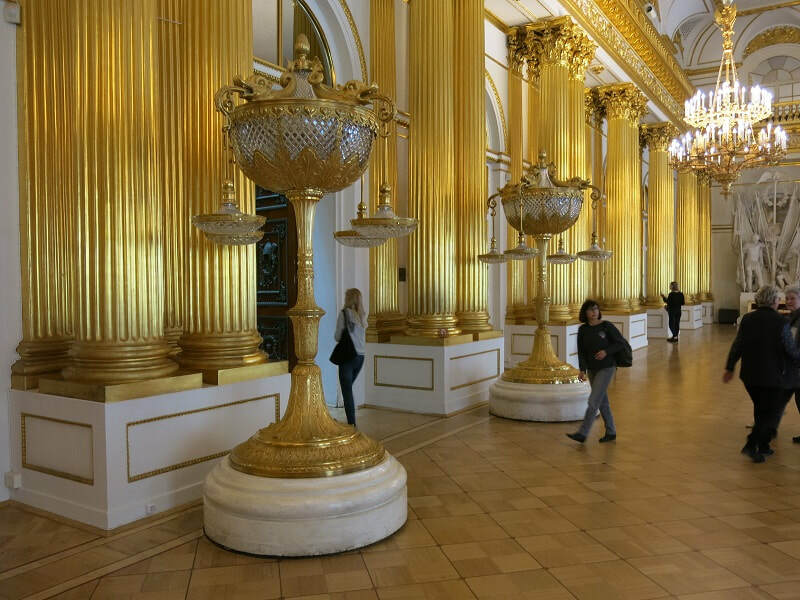 There’s much to see on a walk along the corridors, staircases and impressive public areas including a 300-plus art collection. 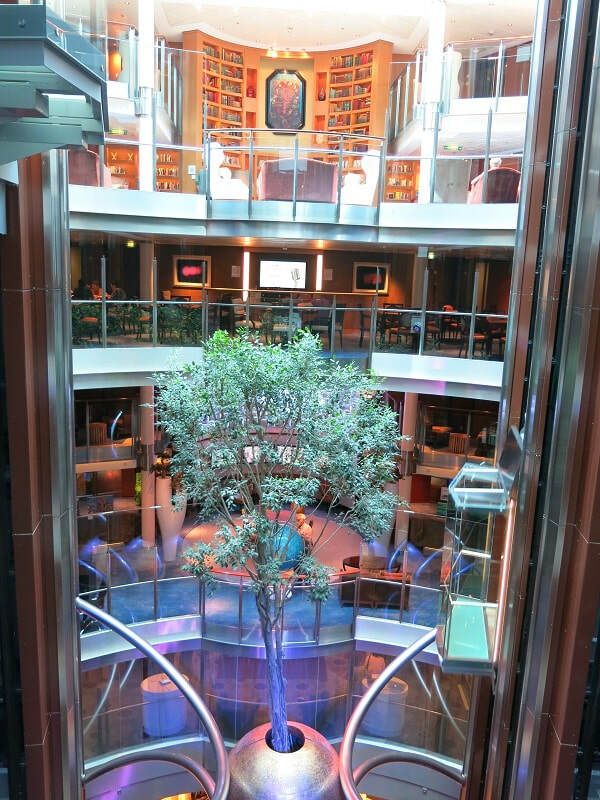 Also a great way to orientate around the ship, discover more restaurants, bars and keep fit. The open-air Corning Glass Museum studio captured my interest. Rugged up to overcome the cold sea air on our backs but facing 1550C furnaces, turned us into slow-roasted birds. Well almost. The lessons in art glass-blowing were fascinating as was the auction of all pieces made during the cruise, with funds going to WWF and UNICEF. The library is one of the best I’ve encountered. Not only are the two levels beautifully decorated, the range is significant. A cosy space for reading … or napping. Monopoly, mah-jong, chess, drafts and card games are always popular; pastries and hot drinks are plentiful and if you miss out on a table move to the bar. Despite the chilly Baltic winds, the walking track, grassed area and external stairs offer a variety of spaces to power walk, stroll or just stand looking at the ever-changing sea. After dinner, take a bubbly on deck, witness the majesty of nature at sunset, rise early to watch sunrise over the ocean, and remember the wake of the ship on moonlit water is very romantic. Go for a stroll and I guarantee you’ll sleep better! 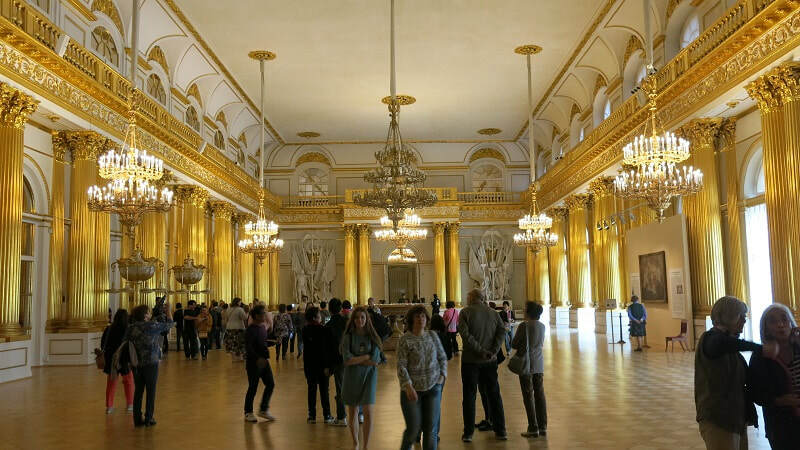 I scratched St Petersburg and the world-renowned Hermitage off my list of places to see before I die, however the tours, walking, talking, staring and mind-numbing splendour almost took me early! I read up on Peter and Catherine, both declared ‘the Great’ by their peers. Between the two rulers the genesis of some of the world’s greatest art, history, literature, design and architectural collections commenced. Nothing, absolutely nothing, prepares you for the richness of architecture, waterways and art. The royal Romanoffs paid with their lives for the decadence of palaces, gardens and collections when the revolution deposed them a century ago. Now these places are visited, admired and cherished by millions of locals and visitors annually. I was once told a story and have never tried to prove it right or wrong. 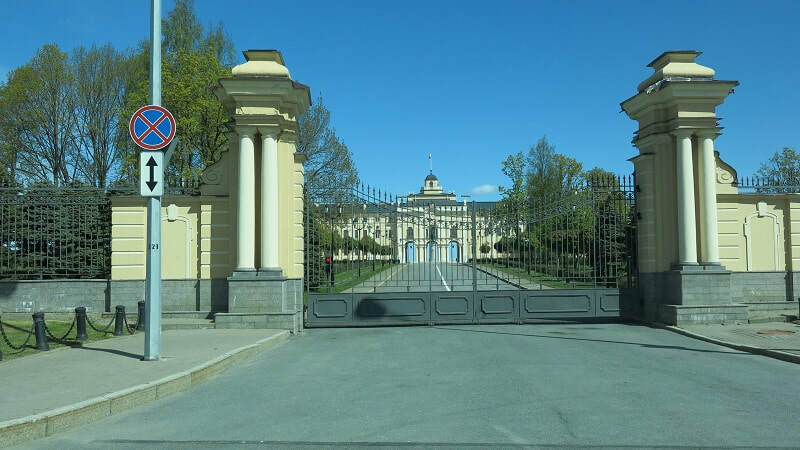 That following the execution of the Russian Royal Family in 1917, a platoon of soldiers was sent to burn down the Hermitage and remove it as part of the ousted monarchy. The Platoon captain realised the buildings housed the cultural history of Russia and of other nations, so he posted his troops instead to protect the collections. By the way he was shot for insubordination. A tour to experience the treasures of the city should include the canals, since St Petersburg is built on dozens of islands and connects via 97 bridges. A wise investment of a pre-arranged tour by car, gave us 25 hours of personally guided access over three days. But how short-sighted! 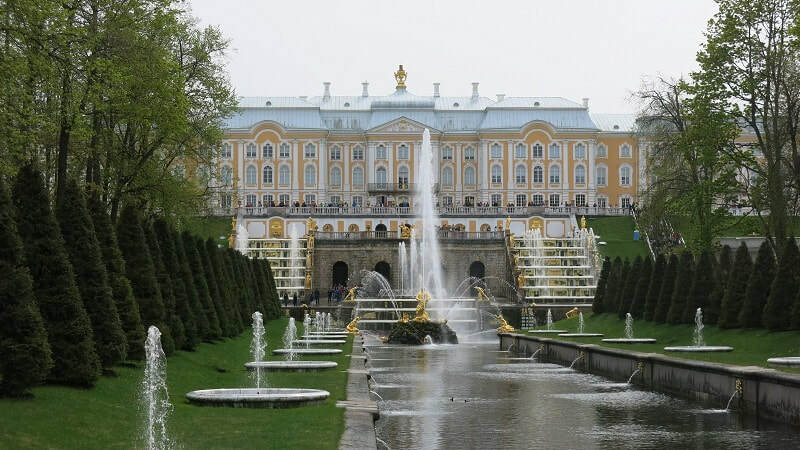 If you spend just 90 seconds considering each item in the Hermitage, it will take you 11 years to see everything! 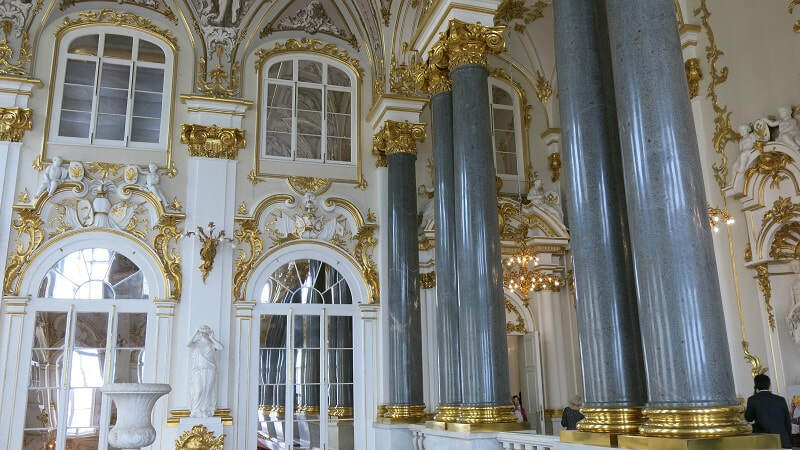 St Petersburg, previously called Leningrad, dazzled, amazed, humbled and left us awe-struck. By royal decree no building in St Petersburg can be taller than the height of two columns at the Royal Dock hence the city has no high-rise. Look for the so-called, ‘onion’ design of the minarets of churches and cathedrals across the skyline, as these can be taller than the royal limit, making orientation possible by line-of-sight. Watching the sun touch the ground, the ever-changing light, and building shadows across the city-scape backdrop, is enchanting. Needless to say the range of architectural styles, period design and colours is extraordinary. It’s a living cultural history museum. The Eclipse also visited Bruges, Stockholm, Tallinn, Warnemunde and Copenhagen where cultures, history and scenery are diverse and architectural features, food and lifestyle are unique. From experience we mostly eschew on-board tour offers preferring instead to take public transport, walk and mix it with the locals. We ate street food ranging from Russian rabbit pie to Danish smørrebrød, German fish and chips to Swedish chicken soup. In Stockholm, you can book the Town Hall and your guests can experience any of the Nobel Prize Award Dinners since inception. I have eaten such a feast, experienced the ceremony and thanked the spirit of Alfred Nobel for his foresight and generosity. Nobel didn’t create an award for mathematics! He only bequeathed to the sciences he had an interest in. Maths wasn’t one. Having a certified tour guide is mandatory in Russia. Anna, a real find, delivered an exceptional level of service and engagement. Her detailed and interesting audio matched the richness of the visual experience. But, thank goodness for Voltaren cream for sore feet. The Russian product by the way, is twice as strong as the Australian. My bucket list of one remaining entry has been ticked off. Maybe I’ve missed a place from the 169 visited in 40 years. Now where is the list?